June 1 while avoiding additional reforms that could weigh down E15 sales. 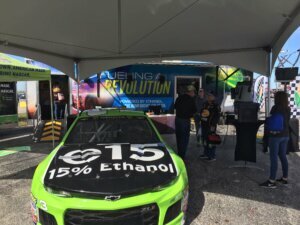 The Environmental Protection Agency has issued a proposed rule that has the potential to make the selling of year-round E15 a reality this year. However, comments from Minnesota’s corn farmers are needed to ensure the rule increases access to E15 while maintaining a strong Renewable Fuel Standard (RFS). the credits that demonstrate compliance with the RFS. other efforts helped Minnesota set all-time highs in ethanol sales last year. 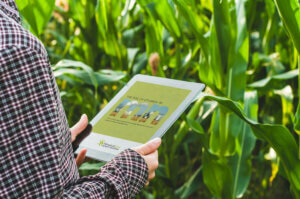 Free to download, “The Rise of Ethanol in Minnesota” e-book details the multi-faceted approach to make Minnesota a national leader in ethanol-blended fuels. Announced last week, Governor Tim Walz was named 2019 chair of the Governors’ Biofuels Coalition. In the role, Walz will work with governors from 22 states on advocacy efforts supporting regional and national biofuel policy development. 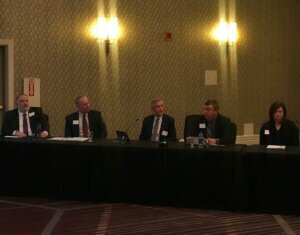 The Minnesota Corn Growers Association (MCGA) joined federal and state officials, as well as the American Lung Association and others from the renewable fuel industry to celebrate the success of the Biofuel Infrastructure Partnership (BIP) on Thursday. 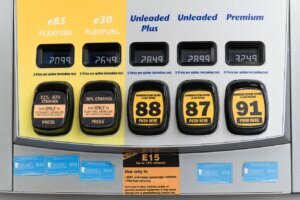 Since its implementation in 2015, the program has helped Minnesota become a national leader in ethanol infrastructure, recently surpassing 400 E85 stations and 300 stations selling 88 Octane fuel, also known as E15. The celebration took place at a Plymouth Holiday gas station that received funding from the BIP program. 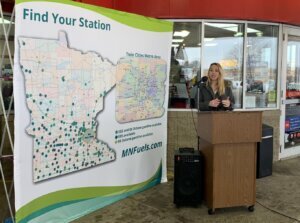 Fuel events across the Twin Cities metro area wrapped up last week with hundreds of consumers stopping by their local station to learn more about the benefits of ethanol-blended fuels. 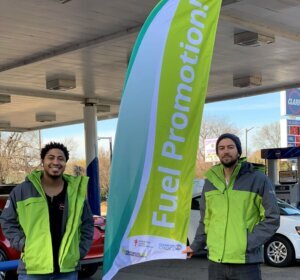 In all, four events were held across the Minneapolis-St. Paul region, with more than an estimated 200 area residents learning about 88 Octane (also known as E15) and E85 while enjoying discounts on each. 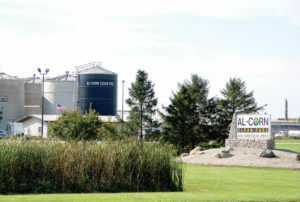 The American Lung Association was on-hand at all four events to promote the clean air benefits of ethanol-blended fuels.